Project STAR telescope (upper, sciencefirst.com/vw_prdct_mdl.asp?mdl_cd=6540000) and Galileoscope (lower, www.galileoscope.org), both aimed at the first quarter Moon at dusk, for a direct comparison of light-gathering, resolving, and magnification powers of their respective images. 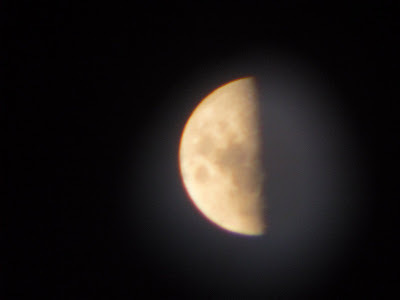 FOV (inverted) through the Galileoscope (www.galileoscope.org) of the first quarter Moon (25x) at dusk. FOV (inverted) through the Project STAR telescope (sciencefirst.com/vw_prdct_mdl.asp?mdl_cd=6540000) of the first quarter Moon (approximately 15x) at dusk. Image is actually sharper than this, but adequate prime focus photography is difficult due to extremely poor eye relief. Photos by Cuesta College Physical Sciences Division instructor Dr. Patrick M. Len. Waifer X Industries, Inc. cartoon characters Fray Ormandy and Waifer X, from the 1997-2002 webcomic "Did you know? by NK Particle" (cf. http://waiferx.com/Cartoons/archivewindow.html). Looks like Blobby Booh is in trouble! 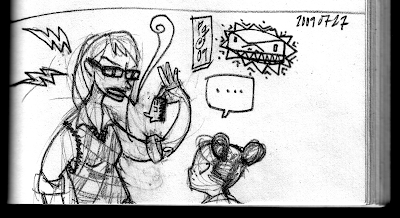 (c) 2009 Patrick M. Len. Labels: sketchbook, Waifer X Industries Inc.
FOV through the International Year of Astronomy 2009 Galileoscope (www.galileoscope.org) of the waxing crescent Moon (25x) at dusk. Original inverted image. Photo by Cuesta College Physical Sciences Division instructor Dr. Patrick M. Len. Cutaway of the Project STAR telescope (www.sciencefirst.com/vw_prdct_mdl.asp?mdl_cd=6540000), showing the plastic primary lens (with circular aperture to block out spherical aberrations) and foam-mounted eyepiece. Photo by Cuesta College Physical Sciences Division instructor Dr. Patrick M. Len. 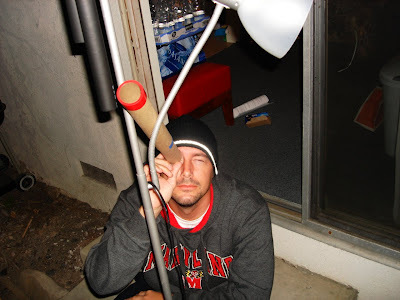 Cuesta College Astronomy 210L student Jason looks through a Project STAR telescope, with a floor lamp used as an ad hoc mount. Photo by J. McFarland (Cuesta College Astrophoto Pool). Waifer X Industries, Inc. cartoon characters Waifer X and Fray Ormandy, from the 1997-2002 webcomic "Did you know? by NK Particle" (cf. http://waiferx.com/Cartoons/archivewindow.html). Perhaps a bigger size sketchbook is needed. (c) 2009 Patrick M. Len. Custom name patch from Stitch-A-Logo (www.stitchalogo.com) for Cuesta College Physical Sciences Division instructor Dr. Patrick M. Len. 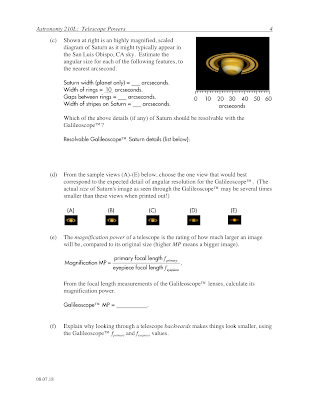 "Telescope Powers" laboratory worksheet for introductory astronomy laboratory. Students compare the light-gathering, resolving, and magnifying powers of two reproductions of 17th century telescopes, the Project STAR telescope (www.starlab.com/psprod.html#Anchor-Refracting-11481), and the International Year of Astronomy 2009 Galileoscope(TM) (www.galileoscope.org). Note that for the purposes of this lab activity, the two rubber rings that hold the outer shell of the Galileoscope(TM) (www.flickr.com/photos/carolune/3742841214/) are unused, such that only the eyepiece assembly, and the front and back caps need to be removed/replaced for disassembly/reassembly. Using a ballpoint pen to identify the focal point of the 25x magnification eyepiece of the International Year of Astronomy 2009 Galileoscope (www.galileoscope.org). 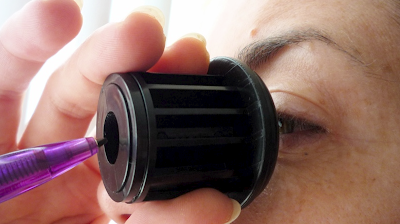 View through the Galileoscope 25x eyepiece, showing the ballpoint pen tip used to identify its focal point. 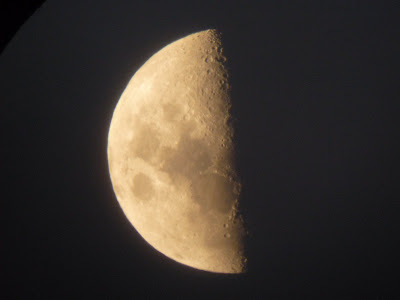 Photo and video by Cuesta College Physical Sciences Division instructor Dr. Patrick M. Len. FOV through the International Year of Astronomy 2009 Galileoscope (www.galileoscope.org) of the waning crescent Moon (25x). Original inverted image. View through the Galileoscope of the waning crescent Moon (25x). Original inverted image has been rotated erect. 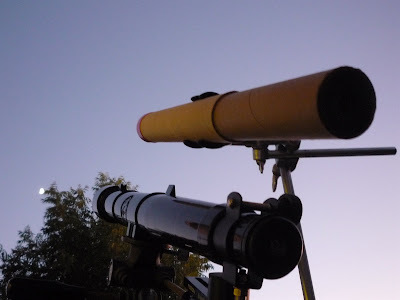 View along the Galileoscope, with waning crescent Moon. Unboxing the International Year of Astronomy 2009 Galileoscope (www.galileoscope.org) kit. Galileoscope primary achromatic doublet lens. Cutaway of the Galileoscope, showing the primary achromatic doublet lens and 25x eyepiece. NASA/JPL Presentation: "The Future of US Robotic Planetary Exploration"
Dr. Randii Wessen (Jet Propulsion Laboratory/NASA Project Formulation Office Deputy Manager), gives a presentation on "The Future of US Robotic Planetary Exploration," at the California Polytechnic State University, San Luis Obispo, CA. 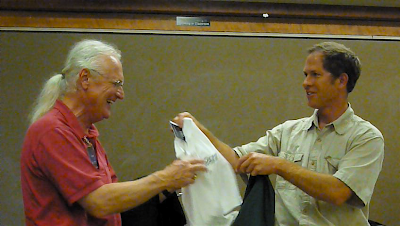 Dr. John Keller (R, California Polytechnic State University, San Luis Obispo) presents Art Hammon (L, NASA) with Cal Poly merchandise as a token of appreciation. 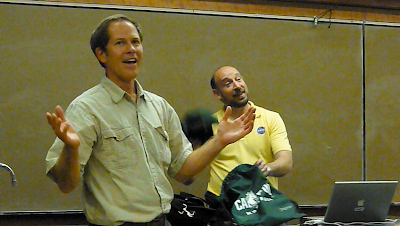 Dr. John Keller (L, California Polytechnic State University, San Luis Obispo) presents Dr. Randii Wessen (R, JPL/NASA) with Cal Poly merchandise as a token of appreciation. 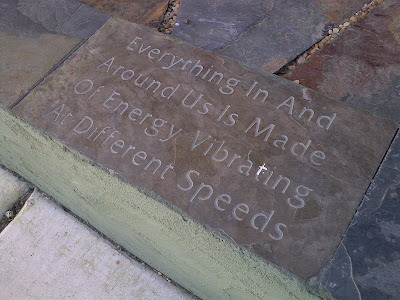 "Everything In And Around Us Is Made Of Energy Vibrating At Different Speeds." Fountain, 11th and Pine St., Paso Robles, CA. 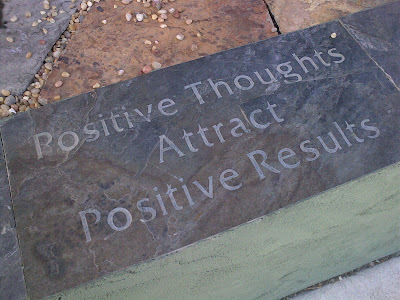 "Positive Thoughts Attract Positive Results." Fountain, 11th and Pine St., Paso Robles, CA. 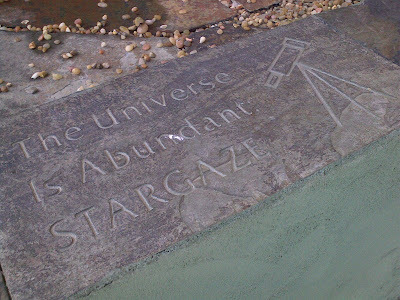 "The Universe Is Abundant. STARGAZE." Fountain, 11th and Pine St., Paso Robles, CA. Photos taken by Cuesta College Physical Sciences Division instructor Dr. Patrick M. Len with a Nokia e71 smartphone. Waifer X Industries, Inc. cartoon characters Waifer X and Fray Ormandy (with the Flower of Misfortune), from the 1997-2002 webcomic "Did you know? by NK Particle" (cf. http://waiferx.com/Cartoons/archivewindow.html). (c) 2009 Patrick M. Len. Waifer X Industries, Inc. cartoon characters Fray Ormandy and Waifer X (with Blobby Booh bouncing off of Fray's hand), from the 1997-2002 webcomic "Did you know? by NK Particle" (cf. http://waiferx.com/Cartoons/archivewindow.html). (c) 2009 Patrick M. Len. Cuesta College students taking Astronomy 210 (introductory astronomy) at Cuesta College, San Luis Obispo, CA used flashcards to engage in peer-interaction ("think-(pair)-share") discussion questions during lecture. During the last month of instruction, after taking their second and last midterm, students were given the opportunity to evaluate the use of clickers in implementing peer-instruction in an online "Think-Pair-Share Survey" hosted by SurveyMonkey.com. think-pair-share clicker use in this class. "I think this is a great learning tool. If I explain my answer and help another student understand why, it deepens my own understanding of the concept. Sometimes I have the answer wrong, and appreciate it when another student can explain why their answer is correct. It also encourages us to be prepared for the class." "I would feel better if and when the class does poorly on a clicker question that the instructor explain it instead of other students. 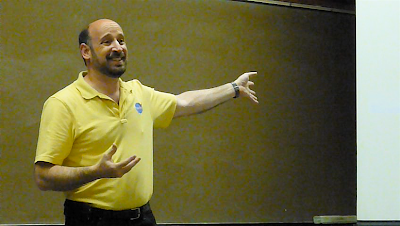 When other students tend to explain their answer they are convincing others, most of the time, of the wrong answer." "I think it is a good concept, but in many cases the information has not been fully comprehended by the students, hence if the material isn't understood by the majority of the class, a lot of wrong answers are reciprocating around." "I like the use of clickers but I think after we think and share with each other that it should still be reexplained if we have not answered it correctly at that time. I also think that we should not do clicker questions until we learn the material otherwise we are just getting and wasting time." "i think it would actually be helpful to have more clicker questions. i generally tend to remember those answers much better for tests and quizzes." "For me, think-pair-share only confuses me. If i am uncertain of an answer, id rather have the teacher explain then someone who kinda understands. Usually this only makes me more confused. Most of the time i feel like myself and other students pick an answer just to pick it, not because we understand it. I would rather have the teacher explain confusing answers than my classmates." "Redoin the clicker questions when the majority of the class is wrong doesn't allow me to understand the material. It shows that the class doesn't understand the material but doesn't clarify why the don't understand it." "I really like think-pair-share because sometimes an explanation comes better from another student rather than the book, or some other scientific source." "This is the first course I have taken that uses the clickers and I must say that I really enjoy them. It helps me stay on task and remain engaged in the lecture. 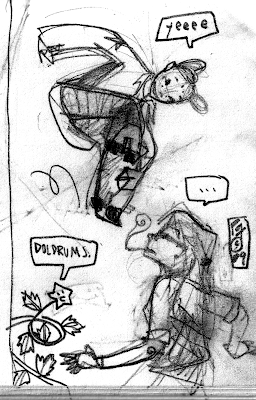 I also like that I get credit for it, easy points are always a good thing. :)"
"I thought midterm two was easier to comprehend than midterm one." "I strongly believe that grouping people together by force in a class is extremely unfair. I go to school for myself, I pay for it myself, and I learn for myself. Therefore my grade should be reflected by my individual effort and not by an assigned group. Clickers are fine but being forced to work with others is not OK."
"Love the clickers but would rather get instruction from the instructor rather than ask an equally clueless classmate." "I love think-pair-share! Forces me to actually consider the question instead of dozing off into space." "I think it would be nicer if we had more clicker questions and more time to review the answers for a better understanding of the topic." "the clicker questions make the class more interesting and for a 2.5-3 hour long class it makes a difference. As for the mid-term I was NOT prepared for the multiple choice questions which is my fault, but I feel that my short answer questions where solid and well answered. my favorite question was the one asking to explain how viewing the stars is like looking into the past." "Think-pair-share clicker use is very beneficial to my greater understanding of the topics in class. I wish all my classes could incorporate clickers. Thank you Dr. Len for choosing to use the think-pair-share clickers." "Additional help is definitely helpful because I struggle with the material. It's hard because we go relatively fast, & I'm still struggling to make the inferences necessary to do well in the class. The only thing keeping me afloat is your blog...not because they tell me the answer (don't get me wrong-it helps) but because there's a plain explanation for the answer that helps me tremendously." 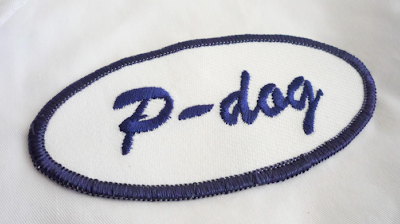 "I feel that it would be more helpful if P-dog explained the material, rather than leaving us to figure it out. Frequently, most people don't understand the material, and spend the time given to make un-educated guesses..."
"i love useing the clickers in class. i like trying to defend my answer when we talk with other class mates." "I think that the Think-Pair-Share system works great because you get to answer the questions during class to the best of your knowledge and then get to see if you are correct. The answers are most of the time explained so it is not just for fun, you actually learn from not only the instructor but your peers as well. This is the first time I have used it and I think it works well." 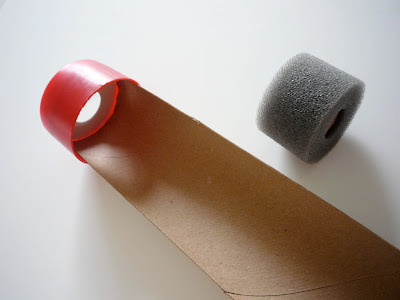 "I think this is a great way for the students to interact during class. It also helps students sort through problems that their having trouble with." "I think that the clickers are a great way to participate in class and good tool for talking out concepts with other students." 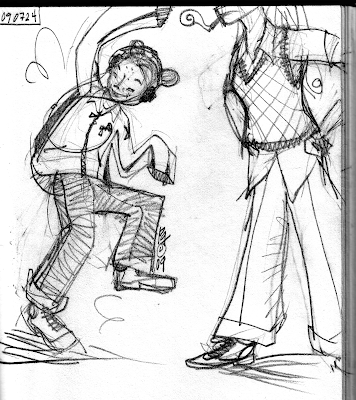 "i think thats a really good idea"
"I think that the think-pair-share clicker use is very helpful in this class." "The material can be very difficult so its nice to receive easy participation points while thinking through problems without feeling like if you don't get them right you will lose points." "I like using the clickers in class. Hardest thing for me is to get these concepts right away. 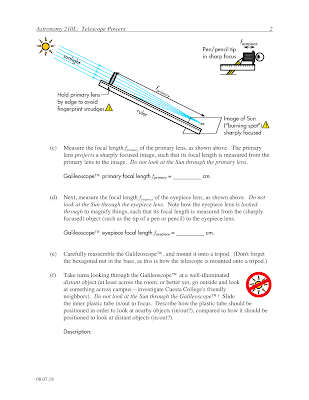 Being my first Physics course it usually takes me reading through the material a few times to really understand the concepts so I feel sometimes I do not get a lot out of the clicker questions until someone explains things to me (and sometimes even then I don't get it). Overall I like using the clickers, it ensures that you listen and focus in class and keeps us involved so we don't get bored." "Since I am a returning student after 5 years out of school, I have an interesting perspective. I never experienced this type of learning the first time I was here at Cuesta. I feel the clickers and the think-pair-share concept are exceptional learning 'tools' and give them both two thumbs up!!!" "The Mid term was not that bad, the last question was hard. but you warned us. All in all totally fair." describe your beliefs about think-pair-share in this class. "It's frustrating to have to sit and 'discuss' in think-pair-share when everyone around you has no idea what the answer is. If it is obvious that a class is confused by a wide range of answers on a question, then I think it goes without saying we have no idea what the answer is and we're guessing. I definitly felt that on this midterm I did fairly well on the multiple choice questions, but when it came to the last two essay questions I was completly lost. I have only missed one class this entire semester, I do the reading, I study for the tests and the quizzes I honestly feel that some things are not covered well in class to a point where I can fully comprehend the concepts. The clicker questions help a lot, in fact if we didn't do a clicker question about a subject I probably know less about that subject than if we had done one. This tool should be used for everything that is placed on tests, but I do not like having to 'discuss' with my peers. Discussing with classmates is a great idea, if you have students who actually understand the question and have a solid reason for their answer and are willing to explain it to other students. But if everybody has different answers or it seems like many people are guessing dicussion becomes a waste of time in class, that is when the teacher needs to step-it-up, explain the concept again, maybe from a different angle, then do another clicker question to see if there is any improvement." "Monster energy drinks highly contribute to my efficiency in class." "Probably one of the best methods of learning I've encountered." "I find that the people I ask say they guessed the answer or they have no idea, so a lot of the time I feel like I'm not learning anything." "it is a good way to test the students to see how they are doing." "teacher should explain answers better." "I think it is helpfull, however I think the majoraty of the class usually guesses the "correct" answer so when we think-pair-share, nobody really knows what to say-- except for a select few. Everyone agrees to disagree sort of speak." "I think it would be better if you would explain the answer to us when all of the answers are different"
"Its a good way to become involved rather than just taking notes the whole time." "I like the concept of think-pair-share, i just wish that sometimes we could go over the answers in more detail, so we could comprehend and grasp. When we do do that i feel like it sticks more, which obviously becomes beneficial for us. Other than that, it's all good." "Using the clickers is Quack-tastic!!!!" "Think-pair-share is nice, because it encourages students to think to choose an answer. Because of think-pair-share, I can understand more about the subject usually, not just know or remember the answer. Overalll, Think-pair-share is a great system." "I can appreciate the think-pair-share system of learning, but after the 2nd discussion I would suggest an explanation from the teacher to help those who don't fully comprehend." "I like it, but most people don't get out of their seats. You should make everyone get up and move not be ok with them sitting their." "the last two questions [on Midterm 2] were tough. not ridiculous, but just tough." "I like think, pair, and share because it gives us (as a class) the opportunity to "think out loud", and to teach our thoughts to one another." "I think its a great system and it can help a lot to talk to a peer as opposed to listening to the same person talk for 3 hours. It's a nice change." "I like having the clicker questions but sometimes I feel that we are focused on just choosing the right answer rather than thoroughly understanding the concepts." "Think-pair share clicker use in this class is very effective. Usually my class mates are able to inform me of a different way to look at the question. Most of the time i change my answer after the think-pair share time." "I think it's interesting to hear why other people put a different answer than I did. It has given me a lot of help when I was confused. In general, it's cool to talk about the questions with other people around me, but not so cool when they are just as confused as I am!" "I think the think pair share clickers are a very creative way for students to get involved and have fun in their class, while learning as well." "One of me answers [on Midterm 2] with teh stars are switched ....ah"
During the second month of instruction, after taking their first (of two) midterms, students were given the opportunity to evaluate the preliminary use of clickers in implementing peer-instruction in an online "Think-Pair-Share Survey" hosted by SurveyMonkey.com. "I think that it is a good method however I feel that key concepts are not always explained fully due to some of my classmates not understanding the material, myself included. This makes class time sometimes feel pointless and confusing." "I dont like think-pair-share that much"
"It can be helpful, but it takes up class time that may be better used going over more sample problems. Other student's explanations will oftentimes not be as helpful or correct as the teacher's." "I think that sometimes we just end up spreading wrong ideas amongst ourselves when what we really need is a stronger lecture component so we have something more solid to base our responses on rather than pretty much a couple people who actually know what they are talking about try and convince the rest of the class which is usually lost anyways." "Sometimes Think-pair-share questions are too hard where such a small percentage of the class knows that it is pointless to ask someone around you bc chances are they didnt know. I like clicker questions but sometimes they just need to be explained to the class esp. on difficult questions." "I was a skeptic but don't find it as bothersome as I thought. My only concern is that we sometimes waste valuable lecture time having two or three confused people trying to convince the others.... There is no equal distribution of "smart" people within the seating arrangement...therefore there is no guarantee of the effeectiveness of share and pair and I suspect the satisfaction with this teaching method varies widely for this reason." "I still don't feel I get much out of this method, it'd be one thing to discuss this with the instructor but discussing with other students is flawed because another student could be completely wrong in their reasoning and cause more confusion than create clarity. As far as the test goes I didn't feel like I had enough time to even think about the problems on it much less complete them." "I like the use of the clicker, but I am not very much for the pair and share part. But that is because I like to do things on my own." "At first I was more opposed to the clickers, but now I feel that they aren't so bad. It took some getting used to, but it makes the lectures more interactive." "I believe some of the questions on the midterm where a little bit obscure and came out of the dark which surprised a lot of students. Several of the short answer question where not like we had practiced or gone over in class." "I do not think that the think-pair-share method helps at all. When the students don't understand the first time asked, then the professor should explain the topic better so everyone does understand. Most everyone just looks at which answer was most popular and chooses that one, then the professor likes the results and movees on oblivious that nobody learned a single thing. "We haven't really been using think pair share that much recently. I like it better when p-dog just teaches us the material rather than us trying to teach each other." "I really enjoy using the clickers. The fact that you are answering anonymously prevents people from being singled out if they have the wrong answer. Being able to discuss answers with other students if it is not clear has been very helpful." "I think it is a great tool. One of the best ways to learn is teach and discuss it with other students, so this helps a lot. Could be done a little more often though. One downside might be that some students might not use this time to their advantage, and not pay attention, and just go with the answer with the most votes, but that's their fault." "I enjoy being able to use clickers to get credit for attendence and HW. 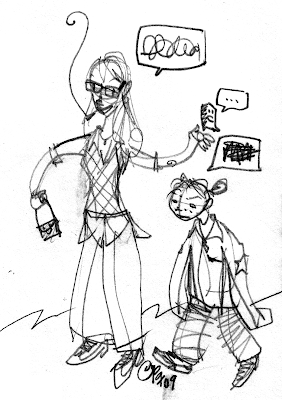 But pairing and sharing with my neighbor is seldom helpful. More often than not we are both uncertain about the answer and neigher one of us is able to strongly convince or influence the other. Time spent in lecture is more valuable. Just my opinion." "I now remember my reasoning on the blood pressure question, but a lot of good that does me now. Your midterms are very fair, and well put together, with all the information you want to cover. Thanks." Trial set-up of a new Cuesta College North County campus Coronado Personal Solar Telescope, Paso Robles, CA. (No solar prominences that day, due to the Solar Quietus of 2008-2009.) Photos by Cuesta College Physical Sciences Division instructor Dr. Patrick M. Len. Close-up of the Coronado PST badge. Sun centered in the finder scope. 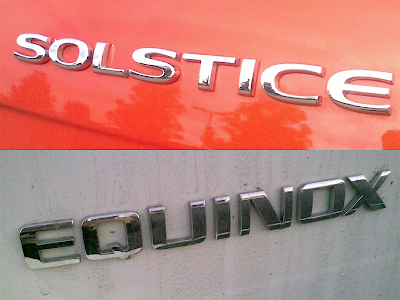 Pontiac Solstice coupe, Chevrolet Equinox sports utility vehicle badges. Photos by Cuesta College Physical Sciences Division instructor Dr. Patrick M. Len. Construction of an ellipse using pencil, string, and two thumbtacks, demonstrating Kepler's first law of planetary motion, where the Sun would be located at one of the thumbtacks (i.e., at one of the two foci). 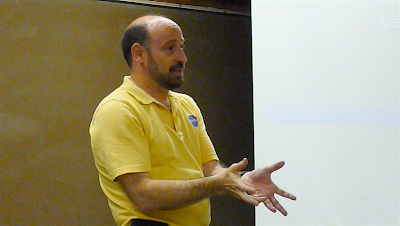 Video by Cuesta College Physical Sciences Division instructor Dr. Patrick M. Len. 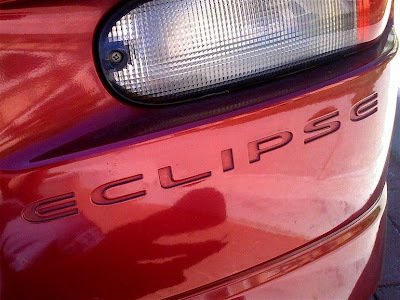 Mitsubishi Eclipse bumper badge. Photo taken with Nokia e71 smartphone. Astronomy in the marketplace: beer for the uncommon occurence? 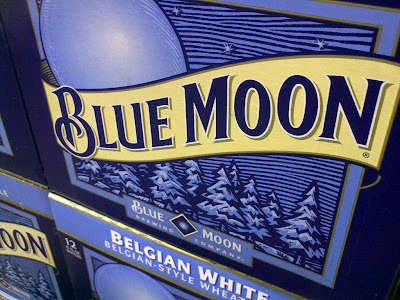 Blue Moon beer carton, BevMo!, San Luis Obispo, CA. Photo by Cuesta College Physical Sciences Division instructor Dr. Patrick M. Len, with a Nokia e71 smartphone. 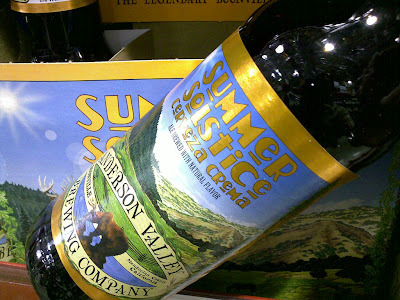 Summer Solstice Cerveza Crema bottle, BevMo!, San Luis Obispo, CA. Photo by Cuesta College Physical Sciences Division instructor Dr. Patrick M. Len, with a Nokia e71 smartphone.